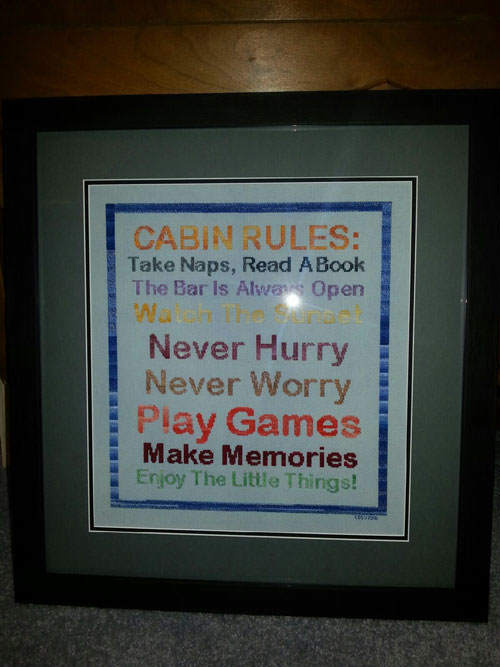 The Cabin Rules custom chart. This is a fun chart. It was made with just the words being provided. I used all the same font for each line, but varied the sizes so that it fit in one line across. 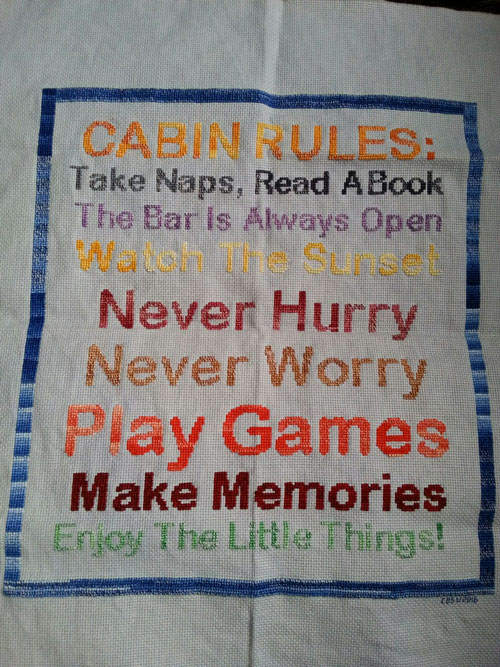 It’s really her stitching that is awesome and it turned out just lovely. I would never have thought about using variegated threads with this and it’s just great. Charlotte, thank you so much for the privilege of creating this chart for you and sharing your amazing stitching talent with me. I love it. If you are interested in a custom chart. Here is where you can begin for Custom Charts. I have amassed a huge collection of fonts that can be used in designs, and designs with just words are pretty fun to create.